NB. The inclusion of any of the organisations listed in the links in this site does not imply endorsement by NASHiCS of that organisation nor the contents of their website. Alzheimers Society The UK’s leading care and research charity for people with dementia, their families and carers contains a useful series of fact sheets and information. British Institute of Learning Disabilities Is working to improve the lives of people in the UK with a learning disability. British Occupational Health Research Foundation (BOHRF) An award-winning niche charity specialising in the provision of evidence based solutions to practical questions asked by employers and their advisers in both private and public sectors. British Occupational Hygiene Society (BOHS) Professional organisation specialising in occupational health and hygiene and infection control issues, including education and training and useful publications. 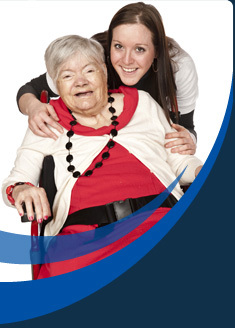 Care England Care England is the leading representative body for independent care providers of all sizes. It speaks with a unified voice on behalf of its members and seeks to create an environment in which providers can deliver the high quality care. Institution of Occupational of Safety and Health (IOSH) The pre-eminent organisation for safety professionals in all fields. The website contains jobs information, specialist groups, training, publications, members and discussions forums, news and links. Very useful. National Back Exchange Is a multidisciplinary group for those with an interest in backcare and prevention of work-related musculoskeletal problems. The website contains news and events, training standards and a number of useful links. National Care Association (NCA) This independent sector website is intended for members, care professionals and members of the public, to provide easy access to information about the independent care sector and issues that affect them. National Care Forum Represents the interests of not-for-profit health and social care providers in the United Kingdom. Site contains good links to relevant care organisations and bodies and site covers NCF events, discussion forums, news, etc. Social Care Institute for Excellence The Social Care Institute for Excellence improves the lives of people of all ages by co-producing, sharing, and supporting the use of the best available knowledge and evidence about what works in practice. Safety in Care Awards etc.